B2B Marketing tells us that monthly, people use Google to conduct over 10.3 billion searches, and just in the United States, 78% of people online use the web to research products and services. Thing is, once your web pages begin to rank highly in Google search, you will see an increased revenue because you're getting more clicks. A study by SocialTimes found that the first link in search results gets slightly over 17% of clicks. On the other hand, according to HubSpot, 80% of a website’s traffic begins with a search query. And that’s why search engine optimisation (SEO) is so important. Search marketing is a powerful and a cost-effective means of expanding the reach and acquiring new online customers. However, the world of search is getting more and more competitive and harder to become proficient at or worse get to grips with. Gone are the days when it was easy to rank via “keyword stuffing. 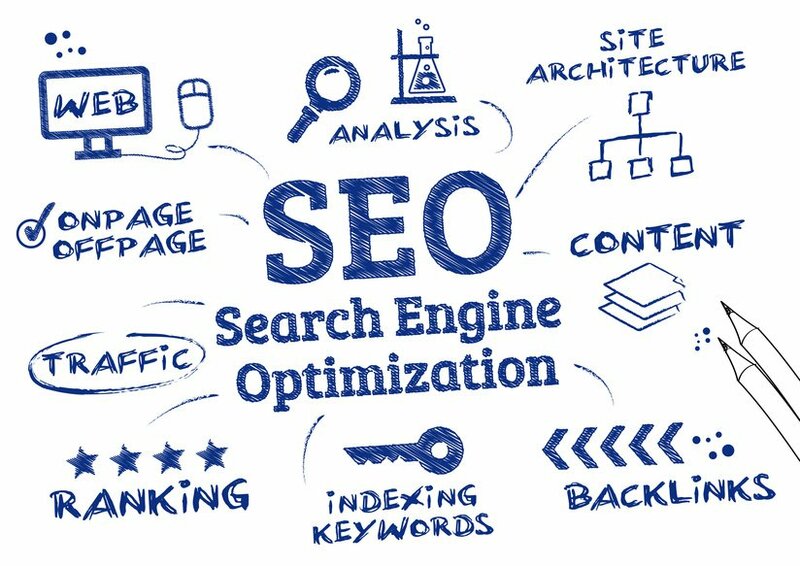 Today’s search engines have more sophisticated algorithms and webmasters as well as search marketers are also getting more sophisticated. There had been a widespread knowledge of search engine optimisation techniques that all the more stiffens the competition in the SERPs (search engine results pages). We are aware of this cutthroat environment. For our clients, we develop a sustainable, defensible SEO strategy—and using the right tools to help you along the way. This is crucial to your success in search. Equally important is our endeavour to ensure a proprietary advantage that your competitors will be hard-pressed to duplicate. Our SEO team collaborates with our company’s content marketers, the developers and the marketers -- basically, everybody to stay up-to-date on trends and algorithm updates. We consider, and think high-level strategy and tech-level implementation. By optimising your web pages for that keyword instead, we generate more traffic, allowing us to monetize your web pages accordingly. We also implement ‘schema’ markup everywhere, optimising your web pages for hyperlocal search. SEO is not a one-time activity, it’s an ongoing process. We work on improving your search results by keyword expansion. We are aware that you need to grow your list over time to be attuned with changing customers and a shifting market. But with so much on your search marketing plate, it’s very difficult to find the time to update your keyword research even every few months, much less every week or every day. We do that for you. We also offer our clients free SEO audit and analysis. Since SEO is an active endeavour, it requires constant experiments and adjustments. Our analytics offer you a wealth of valuable insights about your website’s performance and even your prospective or potential customers’ wants and needs. We will align your pages to the end goal of all the algorithms - to favour useful content that people care about so the results are relevant - which, in turn, allows your company to be on the top page of the search results and thus the higher chances that they will tap you for your products and services. Bigblock Solutions is all about providing our clients with the best insights possible. We offer quick access to information you need and assistance for any of your queries. In case you have any feedback or suggestions, we’d be happy to assist you. Share your thoughts - we're here to help in any way we can. Send us a question. We'll quickly get back to you with the information you need. The motivation behind all that we do at Bigblock Solutions is to help companies grow their brand online. We don’t just create websites and push them out – our goal is always to help our clients achieve their business goals and improve their ROI. All of our approaches and suggestions are based on intensive research and experience backed by years of being in the industry. © 2018 Bigblock Solutions. All rights reserved.